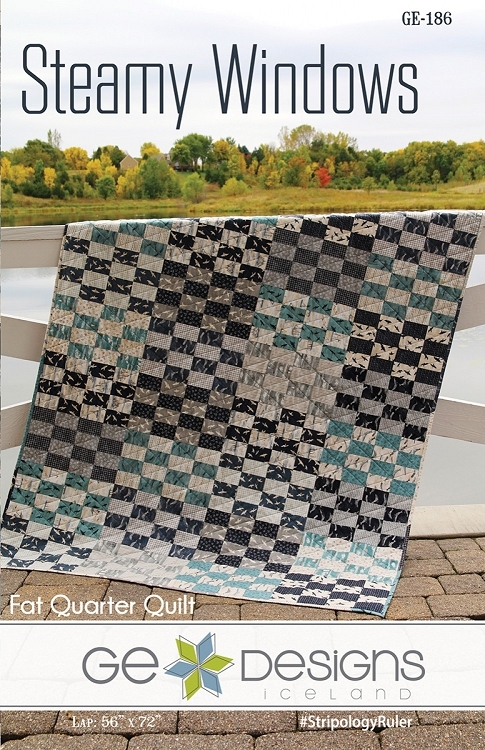 Steamy Windows is a fun and fast quilt made with Fat Quarters. 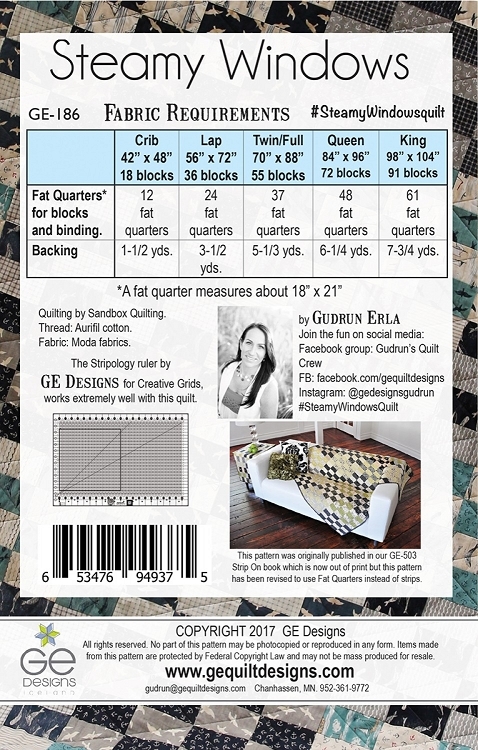 Sewing and cutting becomes a breeze when using the Stripology ruler. 5 sizes: Crib, Lap, Twin/Full, Queen, King.